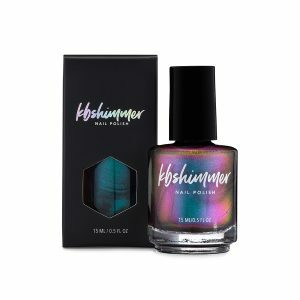 This March 15th, KBShimmer is launching its debut collection featuring the all new look. 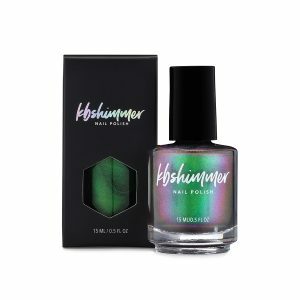 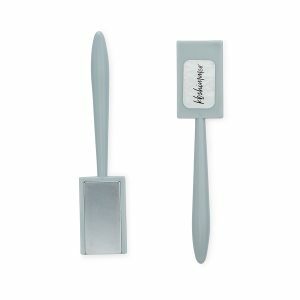 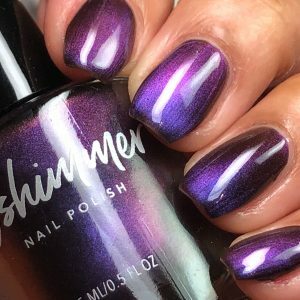 Matte black and holographic foil accented boxes, brushed silver logo imprinted on the bottle, and 5 free base set the bar high for KBShimmer’s 10th year in business. 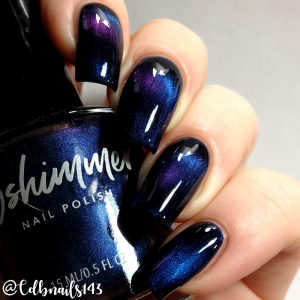 The 9 piece space themed collection features 8 multichrome and duochrome polishes and a galaxy holographic top coat. 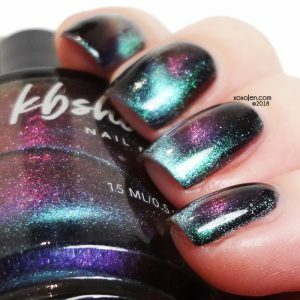 Retailing for $10 each, this out of this world collection launches Thursday March 15th at KBShimmer.com and select retailers. 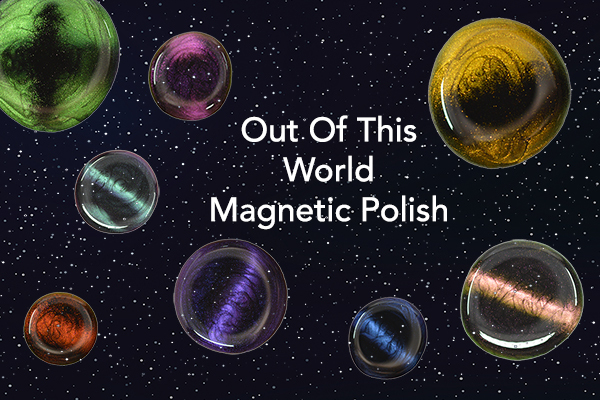 A Star Is Formed – What is a space collection without the stars? 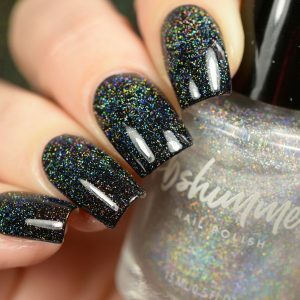 This holographic top coat is loaded with micro holo flakes that shimmer and sparkle in the light. 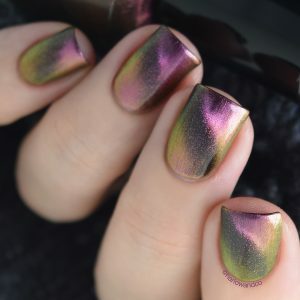 While not quite a linear holo, theses micro flakes produce a beautiful holo flame that paired with any of our magnetic polishes twinkle more than any galaxy in the sky. 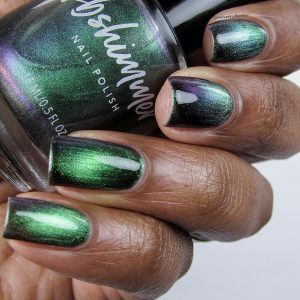 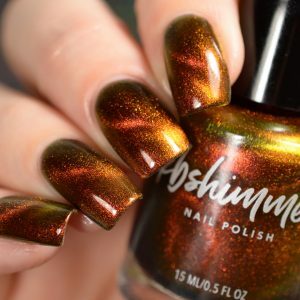 The countdown has started, KBShimmer’s new look and the Launch Party Collection will blast off 03/15/18. 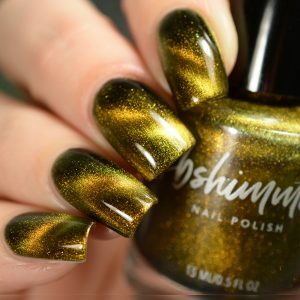 Polishes will retail for $10; other product pricing will vary. 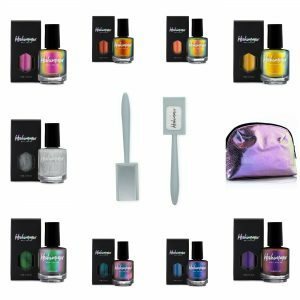 For a limited time, get the whole collection, magnet, and multichrome bag for $90.00. 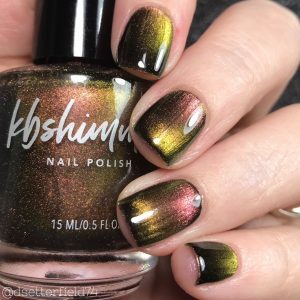 This entry was posted in Nail Art, Nail Polish, News and tagged kbshimmer, magnetic, nail lacquer, nail polish, new on March 15, 2018 by Christy Rose.